Maria Maskall has been figure skating for over 11 years. 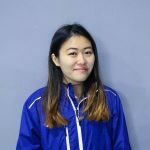 She has completed extensive coaching training and is a certified Canskate and Starskate figure skating coach through the National Coaching Certification Program. She spent several years competing and won several regional titles as well as a provincial title for her level. Maria loves skating and enjoys sharing this passion through coaching. 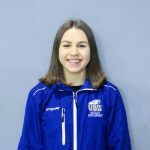 Sophie has completed training through the National Coaching Certification Program to become a Skate Canada CanSkate coach. Since the age of twelve she’s been helping with learn-to-skate programs and in the past two years has been coaching figure skating as well as learn-to-skate. 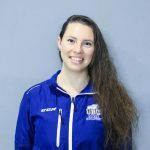 This fall, she started at UBC in her first year and joined the UBC learn-to-skate coaching team. As a figure skater, she’s been competing since the age of eight, won the provincial title for Junior Bronze, and has achieved Triple Gold status. 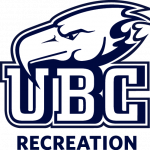 Matt is UBC’s most senior hockey instructor with experience with youth programs and minor hockey coaching in the lower mainland over the last 5 years. Matt is an NCCP certified level coaching having completed his Coach 1 and Development 1 Hockey Clinics. Selena is a passionate figure skater of 8 years. She is familiar with the recreational skating syllabus and Skate Canada syllabus. Her philosophy is that with hard work and dedication, anyone can skate. Rose has been figure skating since the age of five and played two years of hockey in high school. 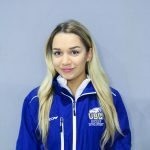 She started coaching in middle school and was excited to join the UBC coaching team last year. Rose was a competitive figure skater for several years and is a United States Figure Skating Association Gold Medalist and International Skating Institute Freestyle 9. Outside of the rink, Rose is a second-year student in the Faculty of Land and Food Systems and is a member of UBC Nutrikids, which conducts food literacy workshops for children in Vancouver. Hanna is originally from Seattle, and is currently studying Music Education at UBC. She fell in love with skating at age 7 and competed for several years before retiring to testing. 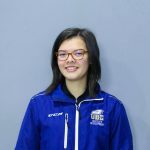 Hanna has been coaching at UBC since 2017, is a Learn to Skate USA certified coach, and has passed her USFSA Novice moves and free skate tests. Madison has skated since age 4, beginning in figure skating. She has previously taught CanSkate, before transitioning to coaching basic skills lessons.Currently, Madison is a 4th year student in Geography, and hopes to enter the education program to teach elementary school! In January of 2018, Madison joined the Learn to Skate program, as a way to become more involved at UBC. 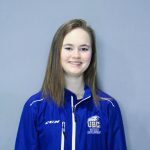 Masha is entering her 2nd year coaching at UBC with our learn to skate program. Masha has a background in figure skating and thoroughly enjoys teaching young skaters of all levels. 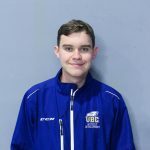 Daniel has been coaching the learn to skate and various hockey programs at UBC for one year including the summer UBC Junior T-Birds hockey camp. He played minor hockey for 8 years for the Port Coquitlam Minor Hockey Association and has volunteered as a coach’s assistant throughout his minor hockey years. 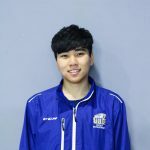 Currently, he is a third year materials engineering student at UBC and looks forward to continue helping develop skating and hockey skills for skaters at all ages. From Saskatchewan, Megan learned how to skate at the age of three in her uncles barn, and since then skating and hockey has been a passion of hers. 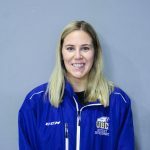 She grew up playing competitive hockey and has shared her skills through coaching at a competitive level for six years prior to joining the Learn-to-Skate and Hockey programs at UBC.